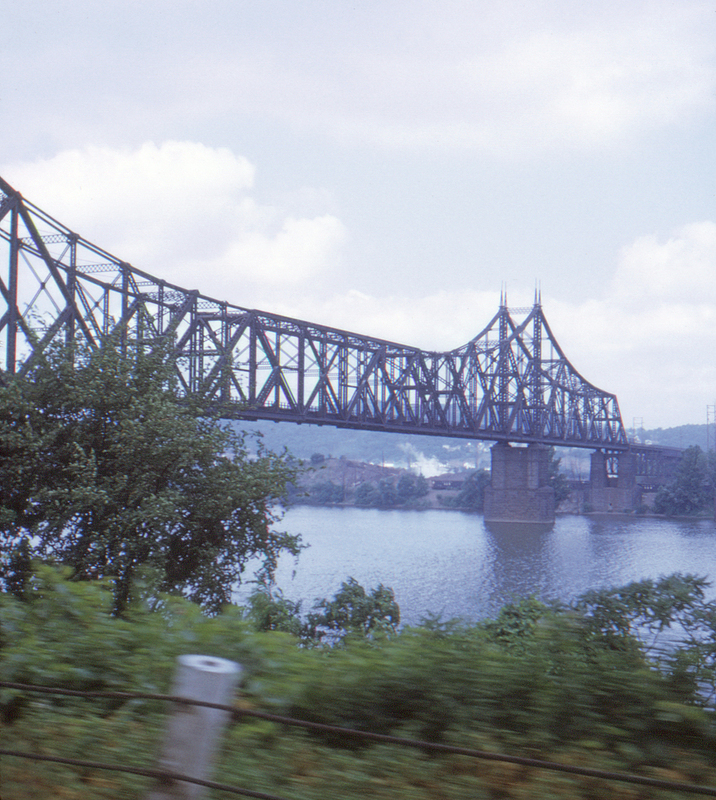 The Pittsburgh & West Virginia was to be the final link completing George Gould's (son of Jay Gould) transcontinental system that included the Western Pacific, Denver & Rio Grande Western, Missouri Pacific, Wabash, and Western Maryland (with the P&WV to link the latter two via Pittsburgh). Unfortunately, between astronomical cost overruns getting the P&WV into Pittsburgh and the debt burden that construction of the Western Pacific placed on the Rio Grande the whole structure collapsed like a house of cards following the Panic of 1907. Ultimately the P&WV became a valuable link in 1964 for the newly merged Norfolk & Western system, providing access to Connellsville, Pennsylvania. Bridges such as this one over the Youghiogheny River near Banning (shot from Pennsylvania Route 2, now Banning Road) give one an idea of the high (and expensive) standards of construction adopted by the Gould roads.